The sinking of the RMS Titanic happened on the night of the 14th April 1912 when it struck an iceberg in the North Atlantic, The huge ship listed until it finally sank in the early hours of the 15th April claiming the lives of 1500 people making it the biggest peace time maritime disasters at that time. The Titanic was labelled unsinkable at the time of it's construction and launch with, as everybody thought, every conceivable safety precaution in place. But they didn't reckon on the iceberg. Most icebergs in that area usually calved off fjord lands in Greenland and from calving to melting usually is around two to three years. All that taken into account and where the ship was it is likely that the iceberg that sunk the Titanic was calved off around 1910 to 1911 and became just a final little splash of fresh water in the huge Atlantic Ocean by 1912 at most. 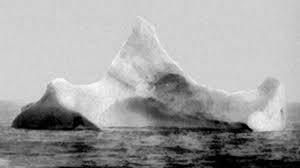 There are a few pictures of the iceberg in question if you care to search google - and the red paint of the Titanic clearly visible. 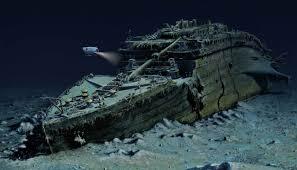 I must say that I have been an avid fan of the Titanic and also the Olympic and the Britannic her sister ships. All had a huge and very interesting history. So I was very surprised when they finally located the Titanic which lies about 600 Kilometres south off the coast of Greenland in about 3,800 metres of icy cold water. It's amazing isn't it that there was the iceberg carving in 1910/1911, the noise of which must have been horrendous like all huge icebergs are when the calve, and there was the Titanic in slips of the Harland and Wolff shipyards in Belfast Ireland - what a destiny awaited them both. The people boarding the Titanic on the fateful voyage had no idea what awaited them - that out there in the dark Atlantic 1000's of miles away that iceberg was already on her collision course that would actually change the face of history. Reading afresh about the Titanic got me thinking just how many times I have been on a collision course with what the world calls FATE? I'm not a big fan of FATE and DESTINY but in lots of ways that is the direction the world of today is heading. 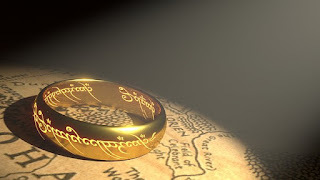 They are rudderless and Captainless in huge, dark and icy oceans - drifting along and often lurching from one crisis to anther - a situation in which we would all agree. I doubt any country is free from crises and foreboding and at the whim of seemingly and often confused governments and politicians. My own personal icebergs surrounded me ceaselessly often crashing into my flimsy little barque over and over again causing mountainous seas and great caverns of seemingly never-ending valleys of deep dark icy water then only to be thrown and crashed once more by another huge monster wave I didn't see coming. It was when I was about to sink and become another victim of the oceans ravages when out of my darkness came this amazing and incredible light - the very fact that Jesus found me was miracle enough let alone doing what he did to save me!! I was so buried in sin I had no idea that my life could be changed so dramatically. I was definitely on a collision course with my own personal iceberg. It would have shown the red mark of a collision just as the Titanic's ice berg had all those years ago and I like the Titanic would have sunk to the bottom of the sea. I figured my past was beyond saving! I was carrying this incredible burden of sin and guilt. Things had happened in my past that in my own opinion was unforgivable, totally wrong and deserved an excruciating death and punishment. No one, I thought, could possible forgive such a wastrel as I, but how wrong was that thinking! I had been to church for years, concealing a lot of my past, burying it along with my own self confidence and abilities - I had listened to the good news of Jesus and thought that it was great for someone else but not for me. The Jesus came - He showed me that even the VERY worst of sinners can be forgiven - THE VERY WORST!! I gave Him my everything - I held nothing back - he grabbed me as I was slipping over the edge and hauled me back to Him. I realise that absolutely YES and Hallelujah!!! another big YES!!! THE most VILE and disgusting sinner can come to Jesus and he will wash you clean. You can be forgiven and your life can be dramatically turned around regardless of WHAT you have done or where you have been or even who you have been with! The most consistent and corrupt person can come to Jesus and find at Calvary, the place where Jesus shed His blood as a sacrifice for sin, the very place where your sins can be covered over never to seen again and forgotten (how about that) by God the Father. So when we finally come to God, we don't come on our own holiness and goodness but we come in the very holiness and goodness and righteousness of Jesus Himself. I praise God for that day in 2010, the Monday after Father's day would you believe, that the very light of God's amazing grace finally got through to this brain and heart of mine and changed me for good and for eternity. So where are you on your collision course with your personal iceberg? I now know that mine has been melted by the very love of Jesus and the extraordinary grace of God. My personal ocean although pretty rough at times can be negotiated every single time with the right hand of God with Jesus at the tiller. Sure things can go pear-shaped so easily and yes! I have lost it a lot since 2010 BUT HEY!! God is still the Captain and I hang on tight to Jesus through the roughest seas and He definitely sees me though. Happy sailing to you but make sure you hand the tiller over to Jesus.